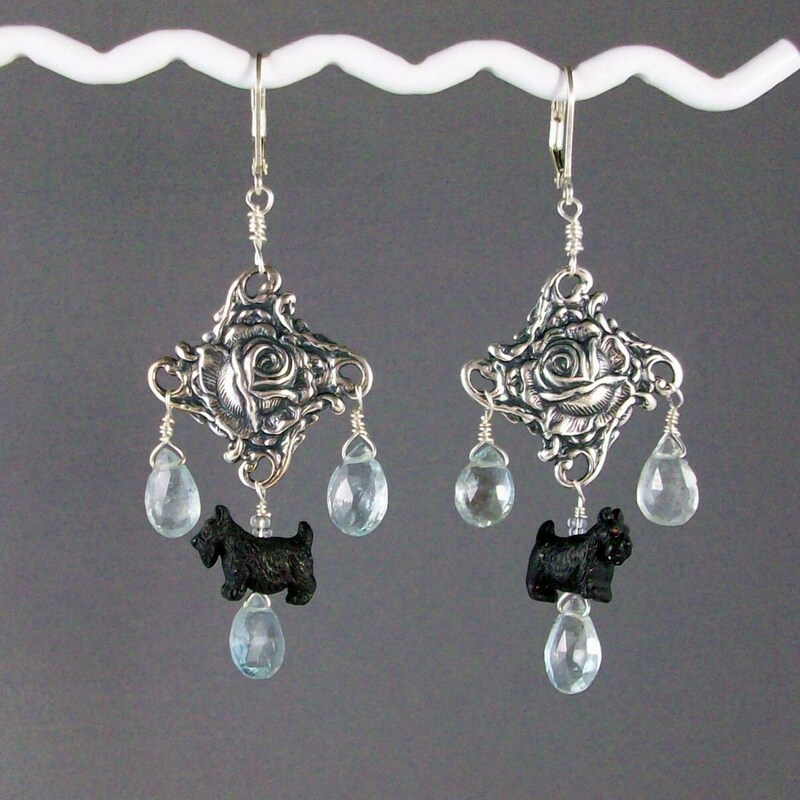 Sweet 14mm black 3-D Scotties swing freely below an ornate vintage silver plated brass rose stamping accompanied by faceted briolettes of superb icy pale blue natural genuine Aquamarine. The total length from the bottom of the sterling silver leverback is 2” (51mm). Innocent, feminine and very elegant.